As crime evolves, the means of home invasion and robbery is evolving too. More and more homes are being broken into using a technique called “bumping.” Lock bumping is a cheap and easy means to bypass door security and leaves no visible signs of forced entry. Lock bumping is different than lock picking. To bump a lock you need to insert a bump key into the lock, tap the key and turn it at the same time. The idea is to have vibrations run through the key, jumping the internal pins into the unlocked position. Similar to lock picking, bumping requires a lot of skill and practice to get good at it. But once someone is an accomplished bumper, very few locks are safe. A bump key is a key in which all the cuts are at the maximum depth (999). It is unethical and illegal for locksmiths to make bump keys, yet this does not deter everyone from having them made. Bump keys can be cut for all standard pin tumbler locks. When the majority of locks are weak against this form of attack, what can you do to protect your door from being bumped? The only true way to prevent lock bumping is to upgrade the lock on your door. A high-security deadbolt with an exclusive keyway is absolutely un-bumpable. High-security exclusive keyways have attributes built into the key and the inside of the lock itself which helps protect against lock bumping and lock picking attacks. For example: the Assa high-security deadbolt has a special sidebar built into the lock which can only match the correspondingly exclusive key. Each customer has their own unique keyway and sidebar. A bump key for such a lock is literally impossible to make without permission from your locksmith and building manager. This sidebar technology also protects against lock picking attacks! Other high-security deadbolts might use a different method, such as magnetic beads inserted into the key or special bump-proof pins and tumblers, but the end result is the same – better door security against bump and lock picking attacks. Abloy Protec2 High-Security Deadbolts or locks cannot be bumped. Abloy Protec2 deadbolts have no known “covert” attacks. While most home invasions still occur in traditional forms – forced entry, stolen keys, or even having your lock picked open – having a high security deadbolt protects against all of it! High-security deadbolts use reinforced steel and are specially designed to defend against forced entry. High-security locks have exclusive keyways, sidebars and pickproof pin-and-tumbler systems. They are literally pick and bump proof. A good rule of thumb is if your locksmith can’t break into the lock, neither can the criminal. In today’s growing age of shared knowledge and new technology, criminals are getting craftier with how they choose to do crime. While the advantages of a high security lock are innumerable, the one thing we know for sure is that having a high-security deadbolt on your door is the best and most proactive way to keep yourself safe from bump attacks. Be smart and stay ahead of crime and crime technology, call Mr. Locksmith Maple Ridge today! I locked my keys in my car at work and I called Mr.Locksmith. I have previously used this company in the past to helped me out. He showed up in a timely manner and was very polite, friendly, and helpful. I would Definitely recommend his services. The other day i needed a locksmith and i encountered Mr. Locksmith he was very polite and professional. 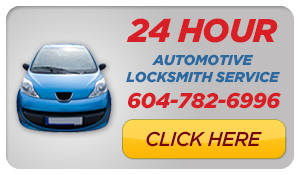 I would highly recommend him to anyone looking for a trustworthy locksmith. © 2019 Mr. Locksmith Maple Ridge - Locksmith in Maple Ridge.